Just a few days ago Senate President David Mark called for dialogue with the Boko Haram sect, saying “they are our brothers and sisters’. Now Vice-President of the country, Arc. 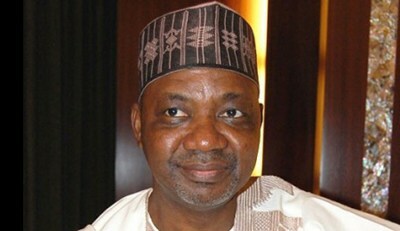 Namadi Sambo has revealed he shares the same sentiments. Speaking on Thursday, at a national symposium with the theme, ‘Islam and peaceful co-existence in a contemporary multi-religious society’, organised by renowned Islamic organisation NASFAT, in Abuja, he acknowledged that the activities of the group are “uncalled for and must be stopped”, but advocated a peaceful solution, saying it was the only way to end the ongoing wave of insecurity. He also took advantage of the opportunity to deliver reassurance of the commitment of the government toward achieving the Tranformation Agenda. Speaking specifically about the resuscitation of the railway system, he said a Memorandum of Understanding had been signed with General Electric for the delivery of 200 locomotive heads and also for the location of a locomotive manufacturing plant in Nigeria, which would also serve the West African sub-region.